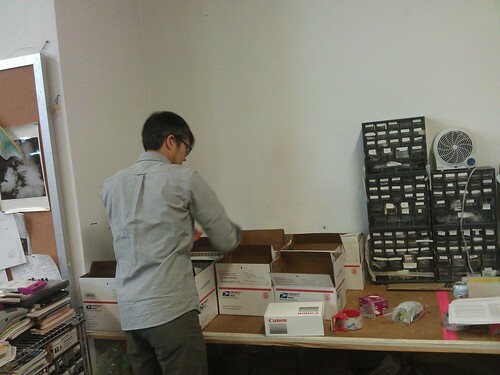 I am almost done packing the boxes with help from others at the p.irateship -- if all goes well they'll ship out today! Hi, Chris - there's a short video on converting a camera, which shows this material, but basically we're buying color film, completely exposing it by pulling it out of its case, winding it back up, and getting negatives made. The resulting dark material can be cut up and used as an infrared filter. 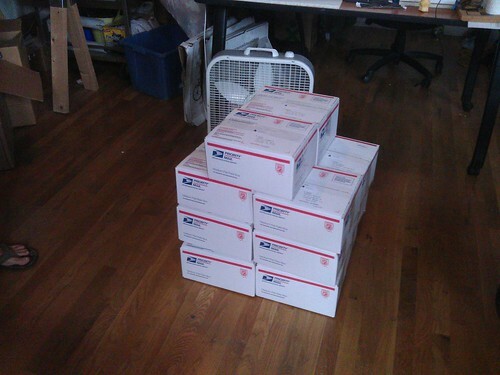 A well packed box of goodies just arrived here in Vermont from IR Camera Pair Headquarters. Everything looks good. I might get some tests shots in before the rain comes.